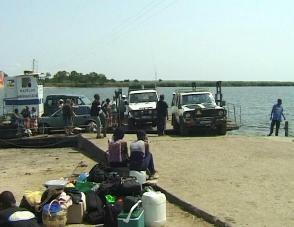 The picturesque town of Marracuene with its historic feel is about 30 km north of Maputo. The town is set high above the Incomati River and offers some amazing views. 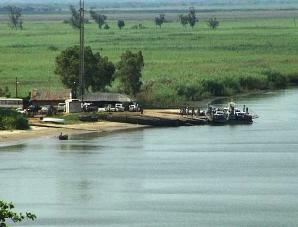 Macaneta is the peninsula on the other side of the river and can be reached by a ferry. The dock has a buzzing atmosphere and there are a number of restaurants and kiosks serving food and drink as well as a fish market selling fresh prawns, clams and crabs. The peninsula is a maze of small dirt and sand roads, which are fun to explore, and it's easy to find secluded and private spots along the river or on the beach. Jays Beach Lodge is set magnificently in the sand dunes of Macaneta overlooking the Indian Ocean. The Resort is situated only 50 km north of Maputo and is a favorite weekend retreat or a stopover whilst travelling north. The beach bar, gardens and restaurant are in idyllic surroundings for the whole family to enjoy. Areas have been set aside for you to barbecue your own food in peaceful casual surroundings. All chalets are set in the sand dunes with private pathways to the beautiful un spoilt beach. Each luxury chalet is serviced, with en-suite bathrooms and a fully equipped kitchen allowing for self-catering. The Karibu Bar is available for residents only and is situated amongst the chalets. A sparkling fresh water pool to cool off in after a hot day is set close to the chalets and bar. Secluded campsites are nestled behind the dunes and each site has its own thatched umbrella, water point and braai facilities. The camping facilities are provided with a shared ablution block with hot and cold-water showers and flush toilets .